Get a Free Case Consultation with an Expert Lawyer Right Now! Are you hurt from a motorcycle accident? I was very impressed with the promptness of your office in returning my phone call. This is the first time I have ever needed legal help of this nature and was pleased with the concern shown by your office. After meeting with an attorney I felt like a great burden was lifted from my shoulders. I couldn’t be in better hands! I called the 800 number on the card I carry in my wallet. Less than 24 hours later an attorney was in my driveway looking at my bike. He was very polite and me feel real comfortable. He explained everything to me in a way I could I understand. He stayed in touch with me ever since and I got a very satisfactory settlement check. AIM has been very helpful to me and got things done, which no other legal service could have done. Mr. Richard Lester, I just want to take the time to thank you for your AIM organization. Coming back from vacation in Florida I was in a motorcycle accident. I ended up in a hospital in Augusta, Georgia for five days with several broken ribs, and torn ligaments. I called the AIM 800 number on my emergency card from the hospital and within a half an hour I was contacted by your AIM attorney who took my case. What you have set up for motorcyclists across the country is a chance to get help and get it quick. Words cannot express this bikers’ thanks for the help when I needed it most. While many other law firms may claim to give back to the biker community, AIM puts their money where their mouth is by taking a percentage of their fees from cases and putting it into the free Aid to Injured Motorcyclists program and the National Coalition of Motorcyclists organization. Part of what makes us different is that our attorneys stay active in the motorcycle community by offering free advice on all motorcycle issues at local Confederation of Clubs meetings, sponsoring programs such as AIM (Aid to Injured Motorcyclists) and NCOM (National Coalition of Motorcyclists) through the fees they get by helping bikers who have been involved in an accident, and by working together with motorcycle clubs and independent riders throughout the United States each year at the annual NCOM Convention to keep them informed of potential legal challenges and how to overcome them. AIM is here to help bikers if they have had an accident, but we also do much more. All across the United States, the National Coalition of Motorcyclists hosts a convention where the who’s who of the motorcycling world can get together to talk about upcoming legal problems, such as laws about discrimination, profiling against bikers, new technology, among many other issues, and how they can best address these obstacles. We are able to fund this convention, along with our other programs in large part because our AIM lawyers put a percentage of their attorney fees into the AIM program. We care about protections and rights for bikers and this is just one of the many ways AIM helps to give back to the motorcycle community they are proud to serve. Join the AIM Program and receive benefits such as a lost key finder. Lose your keys? We get them and mail them back to you free of charge! Have a question about motorcycling and want to ask a lawyer for their legal opinion? We are ready and here to serve you! Who is Motorcycle Attorney Richard Lester and What are the AIM & NCOM Programs? 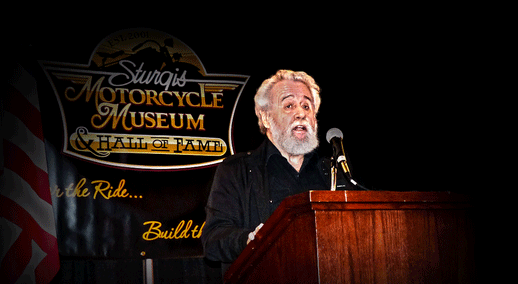 For more than three decades, Richard M. Lester has dedicated his professional life to bringing together one of the most diverse and divisive communities in this country and the world, in order to solve mutual problems, stand together against government interference, and protect motorcycling as a sport and lifestyle. In the early years the effort was to form a base, and join together attorneys throughout the USA and Canada that represent motorcycle accident victims, and that were not only the best litigators but also cared deeply for their clients and for motorcycling. This Aid to Injured Motorcyclists (AIM) network of attorneys not only ride, bur are willing to put part of their legal fees back into making motorcycling better and safer. We have over 110 affiliated offices throughout North America and we are available around the clock to help all motorcyclists. 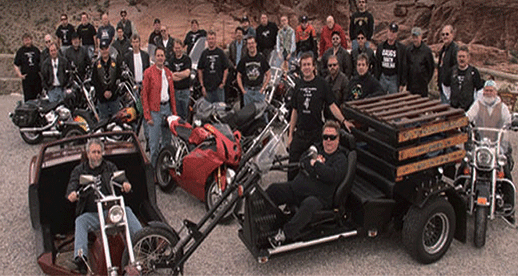 Our lawyers ride, and have decades of experience handling motorcycle-related cases. We are motorcycle advocates, and many of our lawyers know firsthand the trauma of a motorcycle accident. Some have even been victims of motorcycle accidents themselves. We know that if you are injured that it might be hard to travel and because of that, we make house calls and will meet you anywhere you need us. With 110 attorneys in the AIM lawyer network, we will be anywhere you need us! The Law Offices of Richard M. Lester and our affiliated offices across North America are available to all bikers 24 hours a day, 7 days a week. If you’ve been involved in a motorcycle accident, we are standing by, ready to help you on your road to recovery. Let AIM help you take the first step toward your recovery.